If you have been to Lon­don, you prob­a­bly rode the famous Under­ground. And, if you did that in years past, you may recall the famous “mind the gap” announce­ment that was played every time a train stopped for pas­sen­ger exchange. This was a warn­ing to pas­sen­gers to be aware of the space between the train and the sta­tion plat­form so as not to trip. “Mind the gap” made news recent­ly when the wid­ow of Oswald Lawrence (the man who record­ed the mes­sage some 40 years ago), asked if she could hear it one more time, since that ver­sion of the announce­ment had been phased out. UK author­i­ties did just that, and the media gave the event lots of press. When I heard of this touch­ing sto­ry, the phrase “mind the gap” some­how clicked anoth­er thought. As I search for good exam­ples of nextsens­ing around the world, it’s amaz­ing how many com­pa­nies and their lead­ers don’t mind the gap. How’s that? If you will, think of “the gap” between the way things are right now and the way they could be in the future. Most peo­ple I meet are pre­oc­cu­pied with what needs to hap­pen in the next hour or day; and there’s a good rea­son for that: man­ag­ing the sta­tus quo so that the trains (and every­thing else) run on time demands a great deal of time and ener­gy. Then again, in many com­pa­nies, think­ing about the future is often viewed as waste­ful day­dream­ing. The impres­sion I have is that, today, few need some­one to say to them to “stay on task” or “get back to work” as the major­i­ty have that mes­sage taped and replayed in their heads many times a day. And yet… some not only allow them­selves to think about new ways of doing things, they make it their life’s pur­pose. They take the gaps that they find in life and decide that they will fill them, no mat­ter what. When I say this, please do not think that I am ask­ing you to think now of famous CEOs who cre­at­ed won­drous enter­pris­es out of imag­i­na­tive thoughts. We can save those sto­ries for oth­er posts. Instead, I ask you to think of Zach Marks. I con­vinced my dad to let me go on Face­book, I had it for about a week or two and then I was see­ing adult lan­guage that I shouldn’t have been see­ing and one of my dad’s good friends caught me and my dad delet­ed it. We had a pret­ty big argu­ment. I told him there was no social net­work­ing site out there that was fun, safe, and edu­ca­tion­al. Zach spot­ted a gap. 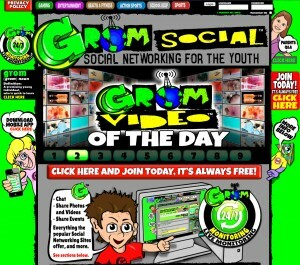 With the help of his fam­i­ly, he start­ed Grom Social, a net­work just for those under 17. As of last Jan­u­ary, entrepreneur.com report­ed that Zach had close to 7,000 mem­bers, who could net­work with Insta­gram and Twit­ter inte­gra­tion. You can hear Zach tell his sto­ry via this news video, and more media seem to be tak­ing an inter­est in Zach dai­ly. May I draw a very point­ed nextsens­ing les­son here? Those who aspire to explore what’s com­ing next would be wise to focus on what’s miss­ing now. Many huge cor­po­ra­tions with enor­mous resources could have spot­ted the lack of a “fun, safe, and edu­ca­tion­al” social net­work­ing site for those under 17 (start­ing with Face­book itself!). They didn’t. It took some­one with the vision and deter­mi­na­tion of a 12-year-old to make it hap­pen. 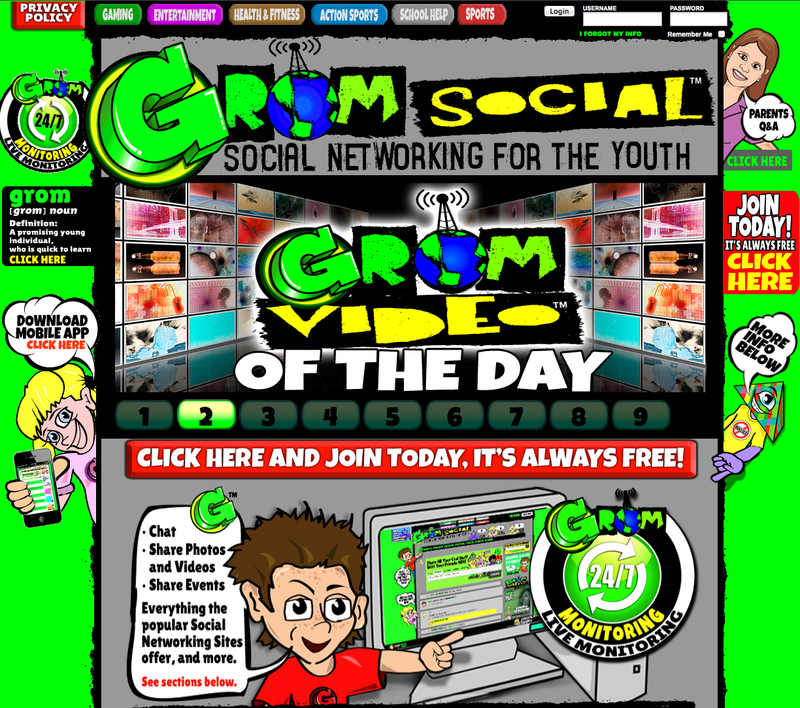 I’m not say­ing that Grom Social will become the next LinkedIn. Time will tell. But for all the expen­sive books and videos and sem­i­nars about inno­va­tion and strate­gic plan­ning, a few min­utes study­ing Zach Marks might be the bet­ter way to go.